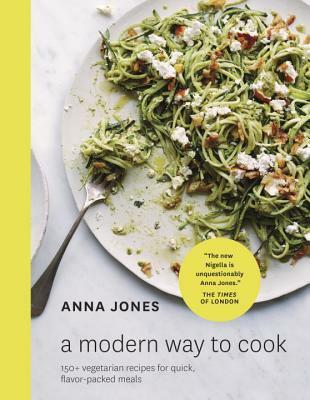 A Modern Way To Cook is a brand new book full of tasty vegetarian recipes from Anna Jones, who has previously worked as part of Jamie Oliver's team. The book is designed to inspire healthier eating with a range of simple recipes showcasing vegetables. The majority of the recipes are sorted into chapters according to the length of time needed to make each dish, from 15 up to 45 minutes. With some 'healthy' cookbooks it can be difficult to source some of the more specialist ingredients however most of the items listed here appear to be easy to get hold of, supermarket staples - a definite bonus! In terms of design, the recipes are set out nicely and look as though they should be easy to follow, and I thought both the layout and the colour photographs gave the book a sleek finish. Personally I'm not really a fan of cookbooks without images (I need some idea of what the dish should look like!) so I was really pleased to find that most of the recipes shared here are accompanied by full-page photographs. Although I'm yet to try out any of the recipes, I have definitely bookmarked a good selection for a later date! I loved how the recipes really focused on making the vegetables the real star of each dish - if you're looking for a new healthy veggie cookbook this may be the one for you. Group Collaboration | Books We Wish Had Sequels/Prequels! We love delving further into unique fictional worlds and the background stories of our favourite characters, so this month we decided to ask our team which books they would love to read a sequel or prequel to! Here's what they came up with.... don't forget to leave us a comment and let us know which book/s you would pick! Next month we'll be discussing the books we think should be read in schools. If you'd like to get involved just email bloggersbookshelf@gmail.com or drop us a tweet @blog_bookshelf! 1. The one I borrowed years ago and have yet to return. 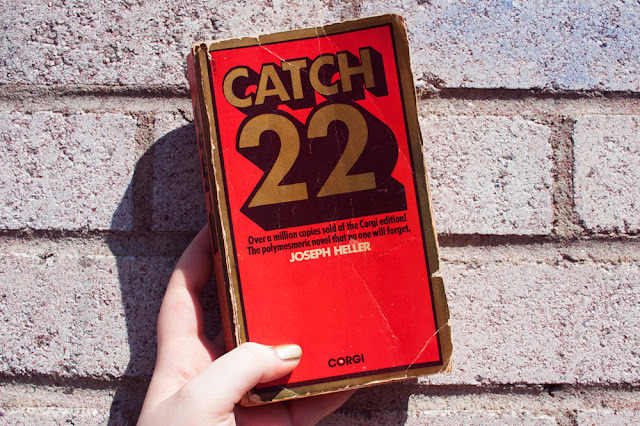 I borrowed my dad's copy of Catch-22 probably about ten years ago now. I've started reading it at least three times since then but for some reason I always seem to pick it up when I'm in the wrong mood for it. I know exactly what to expect and I'm sure that I'll like it but I have just yet to find the perfect time for me to read it. Luckily, I don't think my dad is expecting it back any time soon. 2. The one I was required to read but never did. 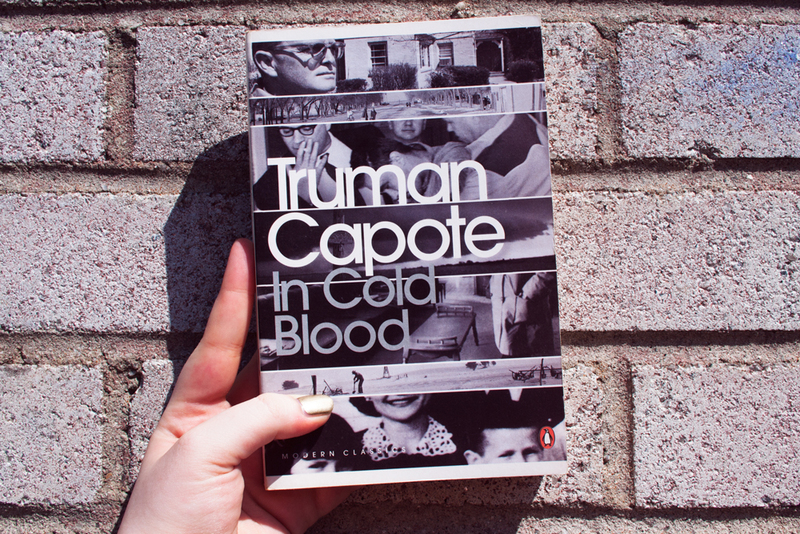 In Cold Blood was one of the assigned books for a module on biography and crime writing that I did at university but I didn't give myself enough time to read it properly before the seminar. 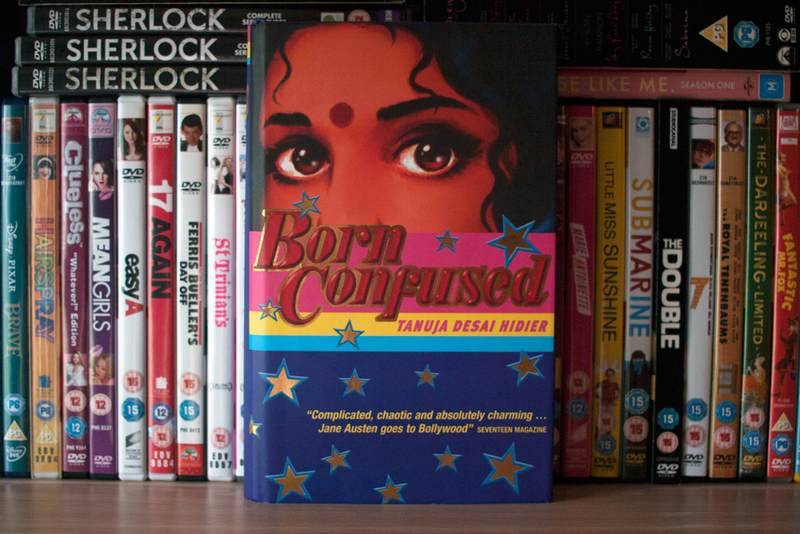 I skim read it and really liked the parts that I did read so I've been meaning to actually read it ever since but with the immediate deadline of having to discuss it in a seminar gone it has been sat on my bookshelf half forgotten since I finished that module. 3. The one that is just too intimidating. 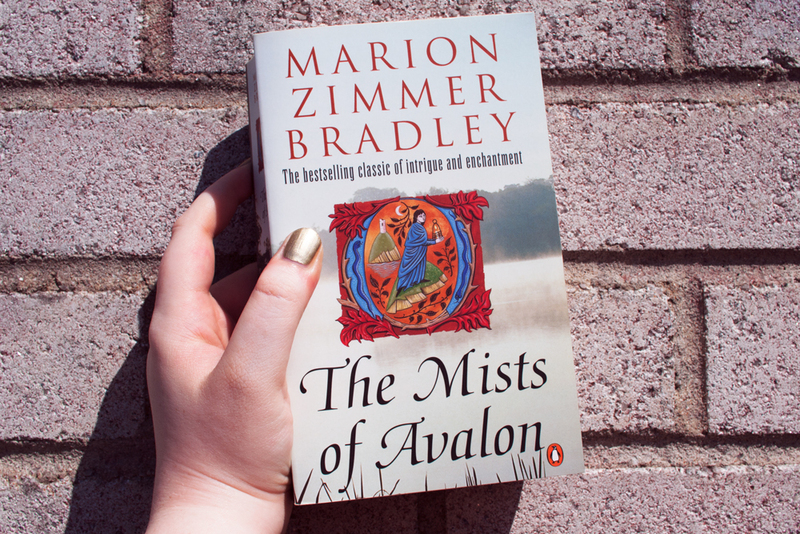 The Mists of Avalon has so many pages. I'm really interested in Arthurian literature and as this is a really popular Arthurian book and one of the only books I know of that focuses on the women in those legends, I know I'm going to find it really interesting. But it just has so many pages. 4. The one I'm most ashamed about. Everyone has read To Kill a Mockingbird. 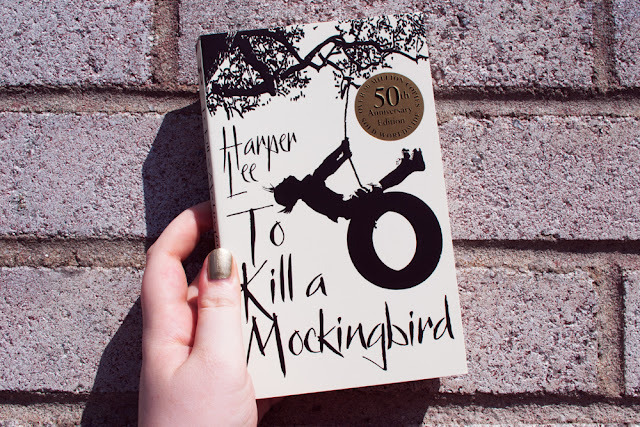 Even people who don't read a lot of books have read To Kill a Mockingbird. But I haven't. In fact, I didn't even own it until last year. We never studied it at school, which I know is how a lot of people come to it, and although I have wanted to read it for a long time, I guess there have just always been other books I wanted to read more. I am going to read it though. Soon! 5. The one that has been there the longest. I think I was about seven or eight when my mum bought Northern Lights for me. 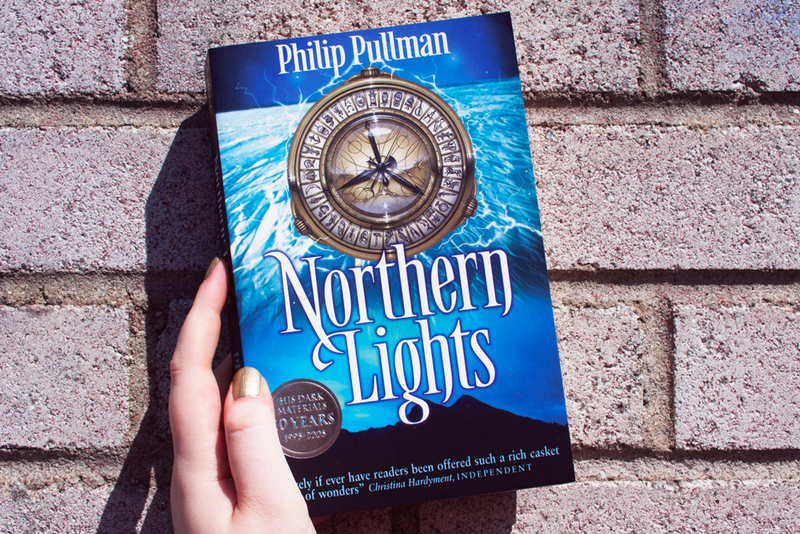 I was deep into Harry Potter and so a lot of fantasy books were bought at around that time, although if I'm being honest not a lot were read, but Northern Lights is the one that I most feel like I should have read by now. These books are a huge part of so many people's childhoods, and yet my only experience with it is that I read the first few pages, decided it wasn't enough like Harry Potter, and then it sat on my bookshelf for seventeen years and now I feel a little pang of guilt every time I look at it. 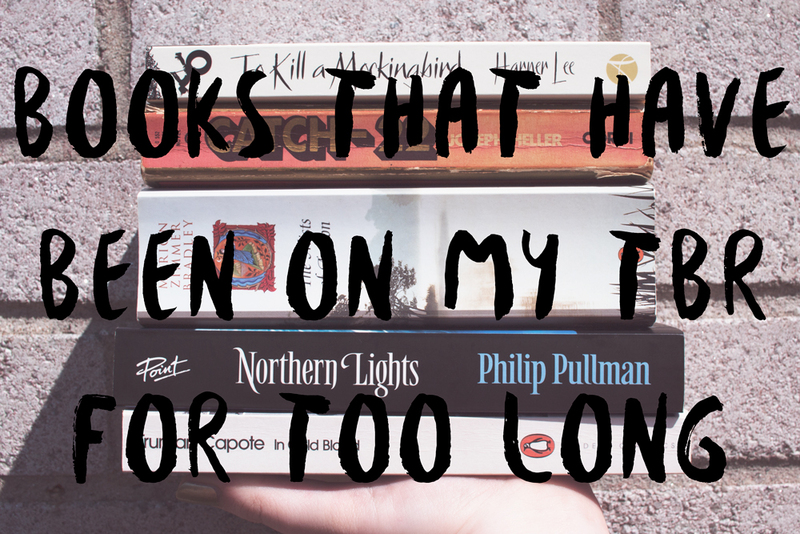 What are the books that have been on your TBR for too long? ‘The green girl necessarily pines for the past, because the present is too uncomfortable to be presents in and the future, unimaginable." Zambreno's heroine, Ruth, is a young American in London, kin to Jean Seberg gamines and contemporary celebutantes, by day spritzing perfume at the department store she calls Horrids, by night trying desperately to navigate a world colored by the unwanted gaze of others and the uncertainty of her own self-regard. 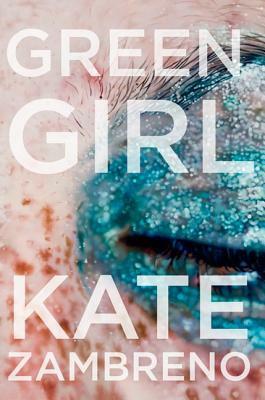 Ruth, the green girl, joins the canon of young people existing in that important, frightening, and exhilarating period of drift and anxiety between youth and adulthood, and her story is told through the eyes of one of the most surprising and unforgettable narrators in recent fiction—a voice at once distanced and maternal, indulgent yet blackly funny. I’m putting out a bold statement that Green Girl is probably one of my favourite books of the year so far. Seemingly apathetic, lost and undeniably broken, Ruth is a protagonist who is drifting. She’s a shell of a woman who’s run away from past demons, with hopeful dreams that she could rebuild her life somewhere else. Ruth for the most part is a tragic figure, a lost heroine in the malaise of London she perfectly encapsulates the essence of what it means to be a young women in the modern world where you’re expected to be living your best life when in reality you may be falling apart on the inside. As a writer myself Zambreno’s writing is utterly delicious and I found myself wanting to highlight entire passages for future reference. Poetic and utterly heartbreaking, the narrative is fleeting, wistful and nostalgic as she presents Ruth’s life in snippets and vignettes. By the end of the book you never feel as if you get a full picture of who Ruth is. You know she’s fragile and perhaps incredibly unlikeable, but her flaws feel human. She’s a walking contradiction of beauty on the outside, utter conceited arrogance, depression and anxiety on the inside, both loves and hates herself, yearns for attention, yet wants to shrink and forget the past. 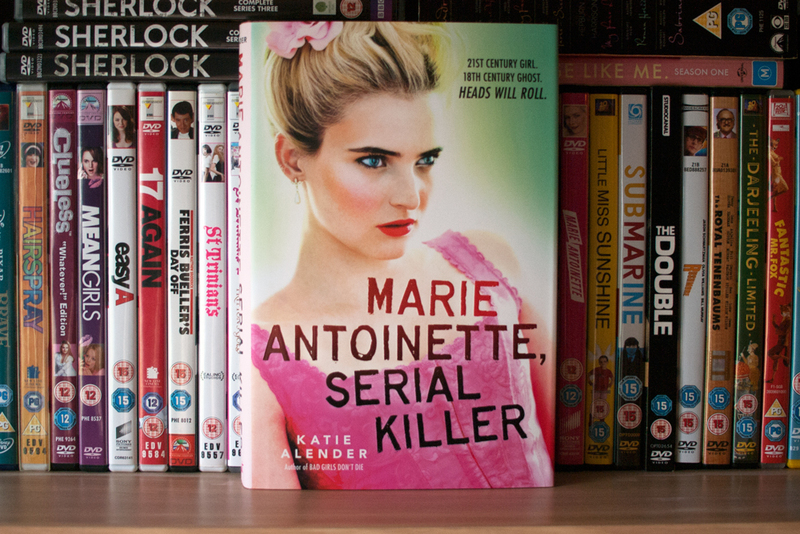 Not everyone will get on with this book (and not every has if you look at the GoodReads reviews, yikes! ), but even if you find Ruth utterly deplorable I’d definitely at least recommend reading it for Zambreno’s command over her writing. BB: For those who aren't already followers of Parchment Girl could you tell us a little bit about yourself? Thanks inviting me over, Erin! 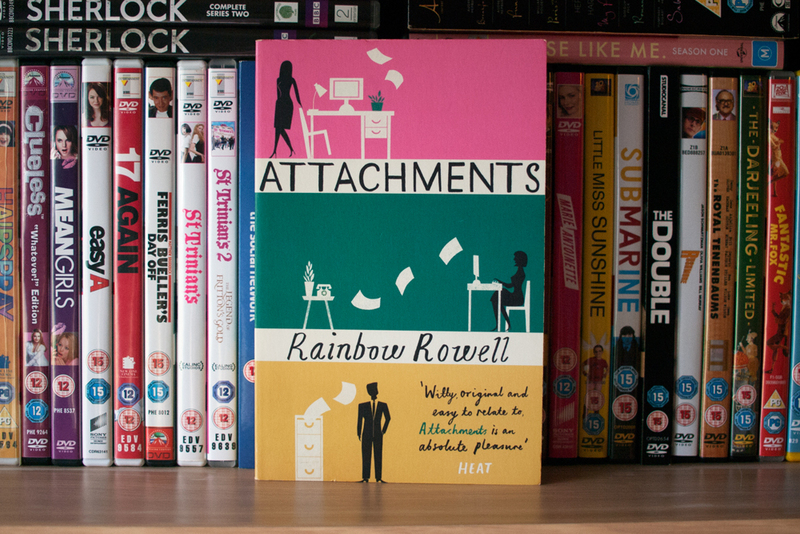 I’ve been blogging about books at Parchment Girl for six years now. I’m also a Book Riot contributor. I’ve been doing that for about 3½ years. I have a particular interest in medical and environmental science, and I devote a lot of time to reading books on those two topics. I love reading (duh) and before I started blogging I didn’t really have an outlet to discuss that. I was drawn to the idea of having a community of book lovers with which to share my literary passion and I was also interested in the technical side of blogging, which didn’t hurt. It’s hard to pick just one thing I love about blogging because I love [almost] all of it! The community is definitely at the core of why I love blogging, but I also get a rush when I see a post go viral or I receive a comment that one of my posts influenced someone’s reading choices in some way. That’s always exciting. I love seeing my blog grow and evolve over time and I love that the Internet is a constantly changing landscape that continues to challenge me! I really love The Underground Railroad by Colson Whitehead (out in September), which is a reimagining of the Underground Railroad as a literal railroad running through tunnels all over the country. I just finished Missing, Presumed by Susie Steiner, which was a Book of the Month July selection. It’s a mystery set in Oxford (holding me over until the new season of Inspector Lewis airs!). Another recent favorite is Women in Science by Rachel Ignotofsky, a gorgeous illustrated compendium of short biographies of brilliant women in the STEM field. Along those same lines, Lab Girl by Hope Jahren was amazing. Last one (promise! ): If you’re into hard-hitting nonfiction, Frackopoly by environmental activist Wenonah Hauter is probably the single most important book I’ve read this year. If you’re not already spitting mad about the oil and gas industry’s destructive extraction practices, you will be after reading this book. BB: As well as books, you're a fan of personality typing. Who are your favourite fictional characters that share your personality type? Oh, great question! Now, I know the typing of a couple of these characters is controversial, but I would have to say my top three are Gandalf, Sherlock (the BBC incarnation), and Severus Snape. I type these guys as INTJs (from the Myers-Briggs system). Gandalf is definitely my #1. BB: For our next group post we're discussing which books we wish had a sequel or prequel. Are there any favourite worlds you wish you could delve further into? Or any characters you'd love to follow into the future (or past!)? It’s funny because I was just thinking about this very topic a couple of weeks ago. Middle-earth and Hogwarts are my two favorite fictional worlds, but I’ve never been the sort of person to delve too deeply into fanfiction or even J.K. Rowling’s recent additions to the world of Harry Potter. I tend to go all in for the core canon and then jump ship. If I’m not completely crazy about a series, I might even abandon it before reading all of the core books. So, if I were the type of person that really enjoyed prequels and sequels, I would definitely want more Rowling and Tolkien, but as it is, I’m pretty satisfied with the canon we have. BB: Just for fun, which two fictional characters from different books/series would you like to see appear together in a new story and why? Definitely Harry Potter and LOTR! There's a hilarious video called “Lord of the Potter” which highlights all of the parallels between the two stories (maybe that’s why I love them so much!). I think it would be amazing if Gandalf met Dumbledore and Harry met Frodo. I can just picture Gimli at Hogwarts swatting away ghosts. Priceless. BB: Finally, which booktubers/bloggers (other than yourself of course!) would you recommend our readers go and subscribe to? The Book Satchel - Her photography is gorgeous! Modern Mrs. Darcy - Her Summer Reading Guide is amazing! 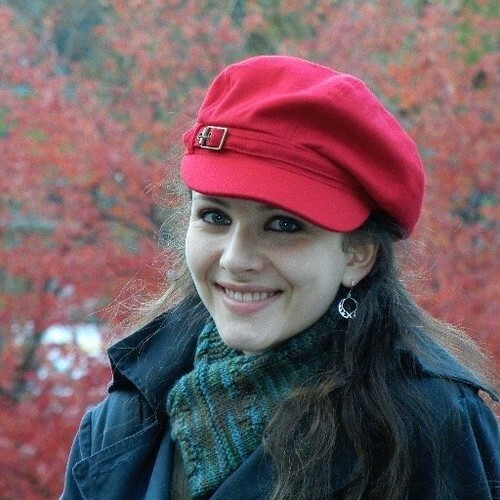 Jen Campbell - She regularly features indie press and poetry books that I probably wouldn’t hear about any other way. She’s also the author of The Bookshop Book. That’s just a sampling of my favorites. I'd like to say a huge thank you from all of us here at BB to Kate for taking part in this interview. If you are a booktuber or book blogger and would like to be featured in a similar post we'd love to hear from you - just email us at bloggersbookshelf@gmail.com for information! The finale to Holly Bourne's Spinster Club trilogy has arrived, (aside from the novella 'And A Happy New Year...?' due out later this year), and this time it's Lottie's turn to tell a story. I read the vast majority of this book on London Underground trains to and from YALC, and I make a point of this for a reason which I'll outline below. In this book, Lottie decides to start a project, the Vagilante Project, where she must call out every instance of sexism that she sees. Her project gains traction, gathering attention from the press, but also gains trolls and hate towards Lottie as well. With concerns from her parents and teachers that the project may be affecting her future plus with growing hate from trolls, can Lottie keep it up? Holly's a fantastic writer. The Spinster Club trilogy features three main characters; Evie, Amber and Lottie. Each book in the trilogy focuses on the story of one of them. Am I Normal Yet? for example focuses on Evie's story and Evie's experiences with OCD and mental illness. However, all three stories are weaved in with one another. I really like this. 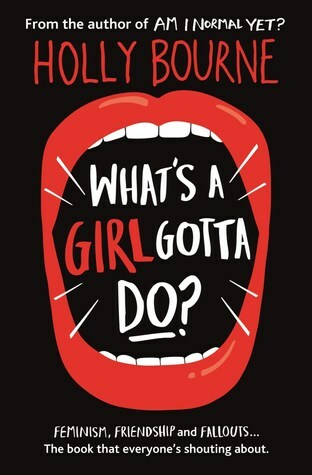 All three of the Spinster Club books have a focus on feminism, and just like she's done with the last two books, Holly has presented the theme in a unique way. It's feminism, but the book shows you just how out of place things some people may do every day can seem. For example, one of the examples of sexism you read about Lottie calling out is when a waiter or waitress in a restaurant hands the bill to the man instead of the woman, just assuming that the man is the one who will be paying. But it's a funny book too. 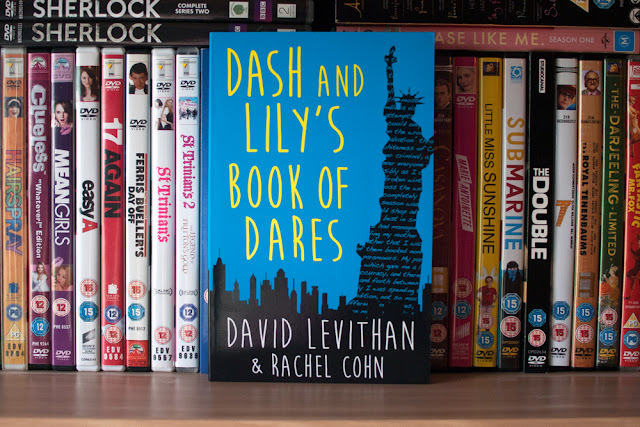 There are lines and jokes and phrases used in this book that really will make you laugh, and I think it's a great combination of both taking these very important topics like sexism and feminism, but also combining it with friendship and humour. Whilst there is still a novella to come, I was gripped by this book. I usually never read books on trains because I can't focus on them, but I really was gripped by this book, which is why I made a point of saying I read most of this on the way to and from YALC on Tube trains. Plus Holly was there and signed my copy, which was great too! I would recommend that anyone who wants to read this book also reads the other two Spinster Club novels, but they all work by themselves so if you just read this one or any of the other two you may find references that you would get if you did read the previous novel, but you should be able to read them all independently. And I definitely think you should be reading this book. 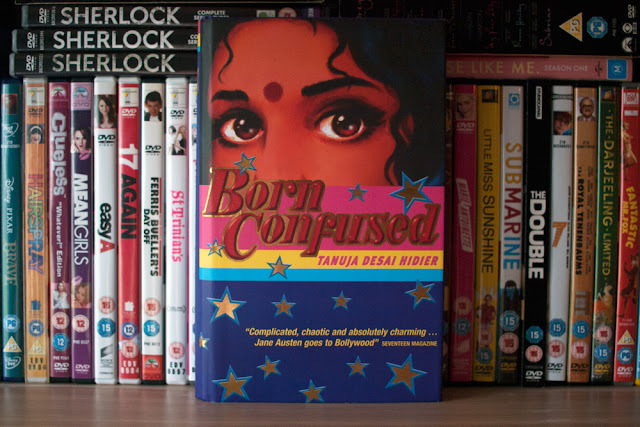 Featuring a diverse range of characters, genres, styles and subject matters, compiled following a global call for submissions, (RE)Sisters explores today's teenage girls' fears, frustrations, strength, stories, potential, and power. 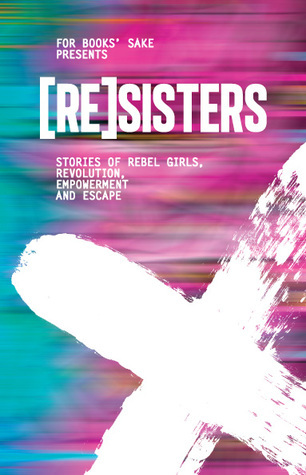 A fierce, fearless and topical tribute to girls' rebellion and resistance, (RE)Sisters is defiant, distinctive and unapologetic. Just like its heroines. A wonderfully diverse set of stories and wholly distinct voices, (Re)Sisters is a fantastic collection of short stories and pieces of flash fiction that showcases female writers from all backgrounds and writing experiences. The collection features all sorts of narratives and snippets of life, both very close to reality, some that bend reality and others taking themes from our World and placing them in totally different settings. As the title of the book implies the stories are centred around women and girls of all ages around the theme of rebellion. Many of the girls are rebellious in both big and small ways - some shout their rebellion in the streets, others run away from the status quo, a handful are quiet fighters in the shadows of gritty, oppressed worlds. 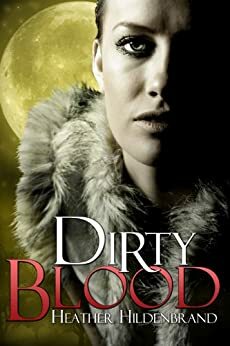 The writers selected cover the whole globe within their stories, feature different sexualities and races, and the anthology covers a great range of genres from harrowing contemporary fiction to Atwood-esque Dystopia. Though the stories are wholly varied, the writing quality across the board is fantastic - a testament to Bradley’s eye for talent clearly. Though it’s tough for me to pick a favourite - I loved them all so much! 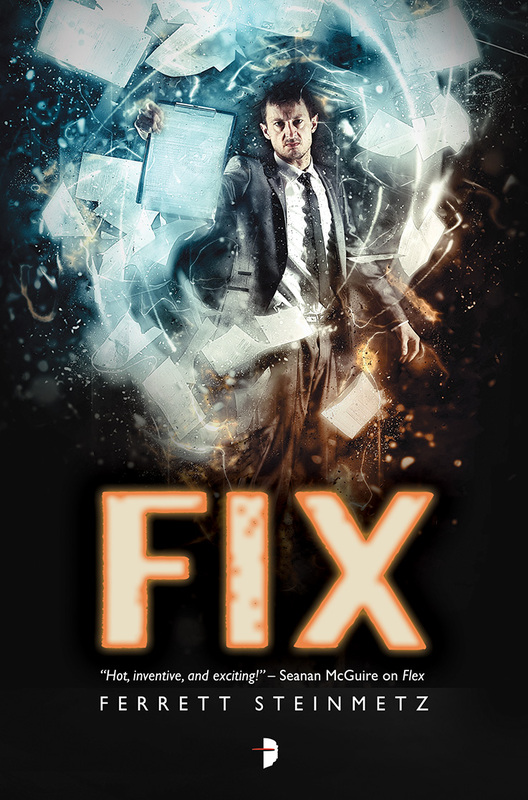 - you’d be hard pressed to not find a story you either relate to or truly enjoy reading. For me (Re)Sisters is the perfect read for any YA loving feminist (and may be an eye opener for those who aren’t!). If you caught my recent review of Gregory E. Pence's What We Talk About When We Talk About Clone Club, you'll know it's no secret that I'm an Orphan Black fan. Although I'd heard about the graphic novels a little while back, I only recently discovered that Vol.1 was available at my local library, and that felt like a nudge that it was time to delve into a new version of the Orphan Black universe! The graphic novel is based on the TV series and features illustrations of all our favourite characters/actors from a selection of artists. Story-wise this volume delves into our introductions to five of the most familiar clones; Sarah, Helena, Alison, Cosima and Rachel, showing how complex and different the clones really are. With that in mind, for those who have watched the show there isn't a whole lot of new information to be found within these pages, although there are a few interesting snippets that weren't featured on screen. For those who haven't seen the show.... well, I can imagine it may be a bit of a confusing read. Although the storylines closely follow those already explored on the show, I still enjoyed this quick read and would recommend picking it up if you're a fan, in particular to see the variety of artwork included. If you're more interested in exploring parts of the story never before seen on screen, there is also a second Orphan Black graphic novel series focusing on Helsinki. If the description is anything to go by, Vol.2 sounds like a much more interesting exploration of the universe fans have come to love and I'm definitely planning on picking it up soon!